These days California grape growers know every vine they plant in their vineyards by grape variety and in many instances, even by a particular clone or variation of that grape variety. This allows winemakers to produce wines made from a single grape type: Pinot Noir, for instance, or Zinfandel, Sauvignon Blanc, Chardonnay. But for centuries, winemakers started their blends in the vineyard, growing a combination of grape varieties as a single field blend that stayed together throughout the entire winemaking process. 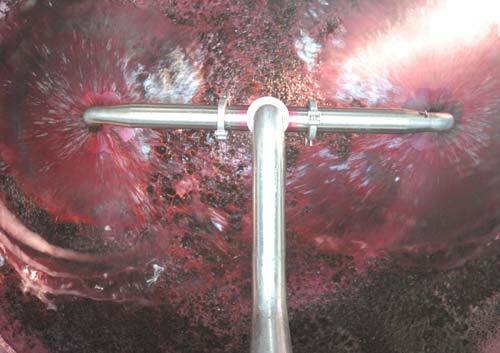 Grapes were crushed, macerated and fermented as a single lot. That practice held true when early settlers of Napa Valley began to plant grapevines. Varieties were rarely planted alone. Growers planned their blends while planting their fields, choosing varieties that complemented each other just as in Bordeaux the French plant Cabernet Sauvignon, Merlot and other reds together. At the birth of the California wine industry, Zinfandel was the state’s main grape, valued for its large crops, resistance to heat and enjoyable red fruit flavors. Growers also planted it with Petite Sirah for body, Alicante Bouschet for color and its thick, handling-resistant skin, and Carignane for its perfume and high notes. Other varieties also were planted simply to increase the chance that at least some fruit in each vineyard would ripen optimally. This practice continued in California until sometime during the 1940s, when making wine from a single variety became the trend. Yet even today, a few historic field-blend vineyards endure and still produce fruit. They make some of the most interesting—and authentically Californian—wines in the state. Most of the grapes grown for Carne Humana are planted as single varieties. We then crush, macerate and ferment various grape types together. Co-fermentation invokes the spirit of field blends and creates a complexity and harmony not possible had we treated each grape variety separately throughout the winemaking process.